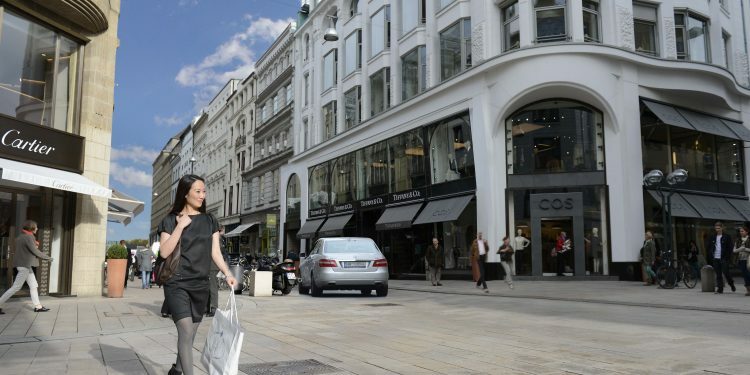 Do you find the Danish cities too small, and do you miss the buzz of the big city? If so, you don’t have to travel far. 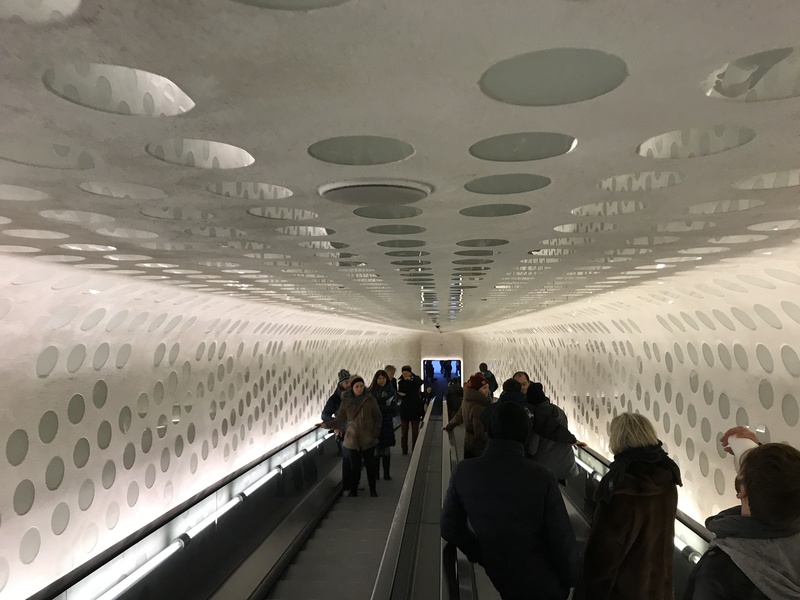 Hamburg in Northern Germany is located within easy driving distance from any part of Denmark and it’s certainly well worth visiting. You feel it as soon as your car hits the German autobahn. It’s that special sensation of being in a major country; somehow everything just seems bigger. The motorway has three lanes, there are more and bigger cars (as well as loads of trucks), and your adrenaline level goes up. 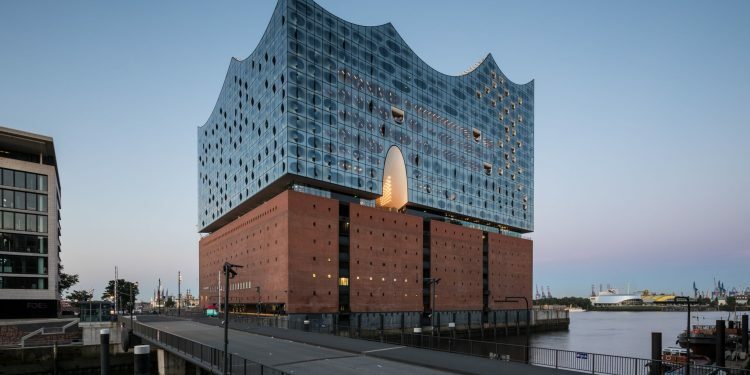 Hamburg is wonderful all year round, and the close proximity to Denmark makes it a perfect target just for a short weekend. There is so much to do, you could easily spend several days. From Jutland and Funen, it’s an easy drive. The motorway leads directly to Hamburg. From Zealand, you can choose to take the bridge (Storebæltbroen) across to Funen, which prolongs the trip by about 100 kilometres, or you can take the ferry from Rødby on Lolland to Puttgarden in Germany. It will take you about five hours to drive from for instance Copenhagen. Of course you can also take the train. If you haven’t tried taking a car ferry before, you will find that is an experience in itself. Once on the ferry you will meet a great deal of Danes with trailers attached to their car. A lot of them grab the chance to shop at the border. In Puttgarden, the “Border Shop” is even located right next to the ferry pier. It’s the lower German VAT on food, (only 7 percent compared to the Danish 25 percent), which attracts the Danes.The same goes for when you cross the border in Jutland – here you will immediately find signs guiding you to for instance Fleggard’s border shops. 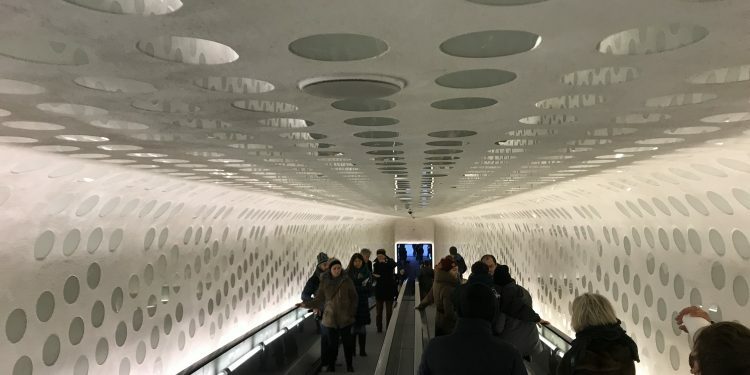 In particular, the higher Danish taxes on sugar and fat make chocolate and sweets a shopping target, in addition to the classic‘s Tuborg and Carlsberg canned beer. 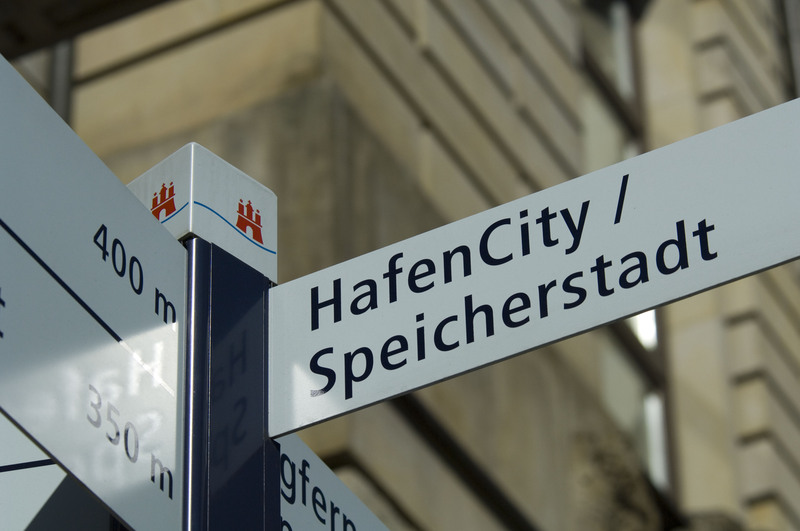 If you have the time, don’t miss going to the old warehouse city – Speicherstadt. 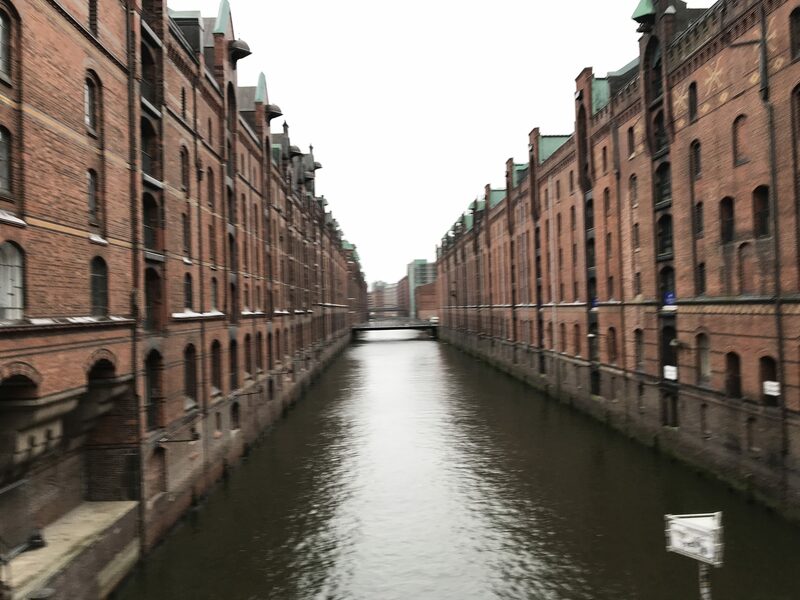 Hamburg was badly damaged during World War II, and a lot of the inner city is made up of a mixture of pre-war buildings that have been saved and new modern ones. 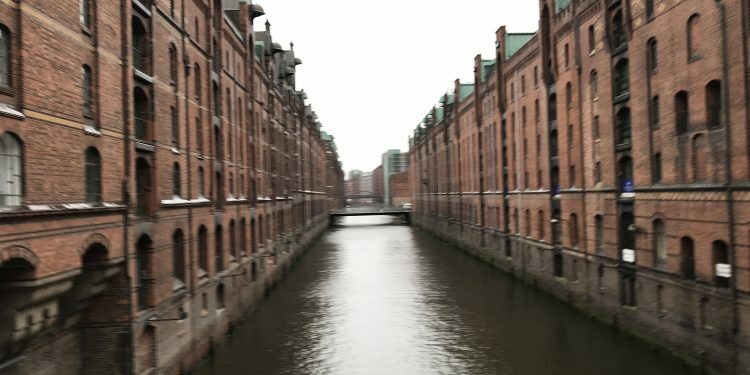 However, in the Speicherstadt many of the old warehouses and canals stand as they did (after careful renovation). 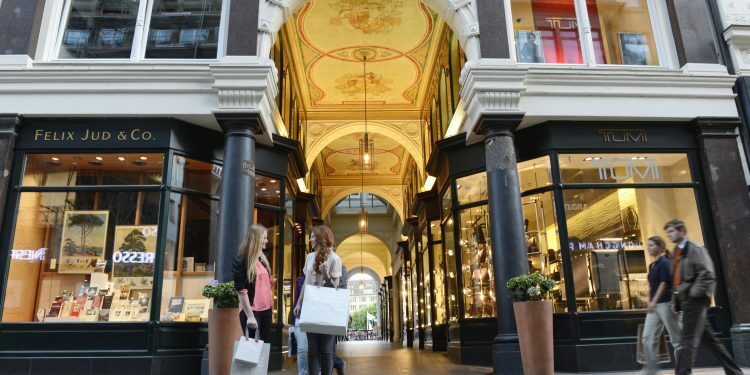 Today they house a lot of creative agencies, showrooms, apartments, offices and cosy restaurants and cafés as well as museums. If you are travelling with children, the Hamburg Dungeons are a must. 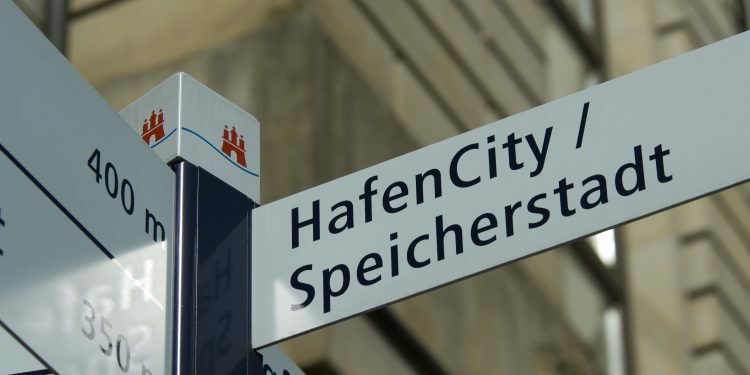 An elevator takes you deep down under the Speicherstadt and the story of the medieval city unfolds for the next 90 minutes. Also, don’t miss the old warehouse from 1888 next to the Hamburg Dungeons. It houses the Kaffeerosterei, the coffee roasting house. It contains old coffee-roasters still being used, and a cosy café with large delicious German cakes. Although a bit crowded, it is definitely worth popping in. It’s a real gem – the working machines intrigue even children. If you’re an early bird, you can start your day with breakfast here. 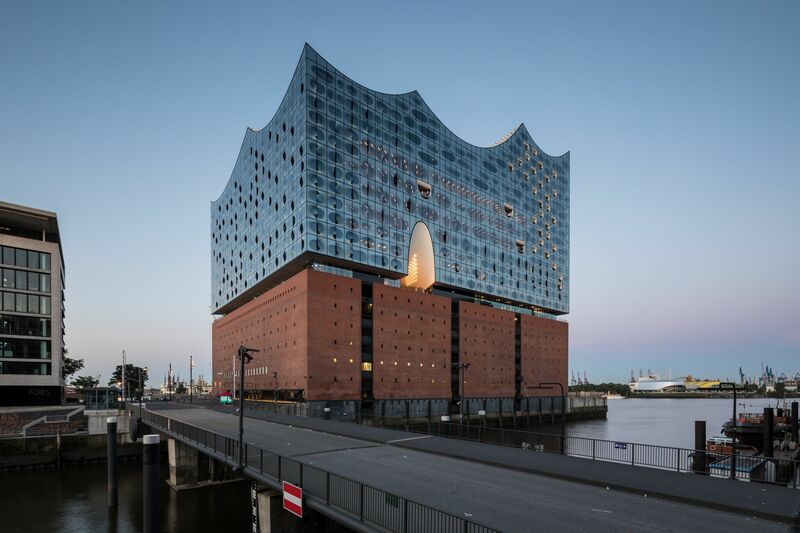 Continue your tour walking to the impressive new concert hall the Elb Philharmonie. It is hard to decide whether the building is beautiful or just a humongous mass of red brick and glass decor. It is really really huge. You can go the middle section and have a walk all around, as an outdoor gallery runs around the entire building. You need to get a free ticket to enter via the escalator, or you can get a ticket to take the elevator from the Plaza hotel entrance. Of course you could also book a ticket for one of the concerts, ballets, operas or plays performed there. Continue your tour walking to the Harbour docks and landing stages. 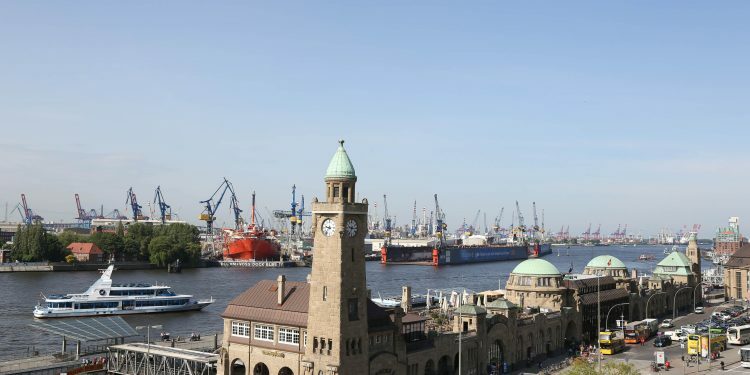 Because in addition to being a great shopping city, don’t forget that Hamburg is also a major port. It’s actually one of the largest in the world- even while being 120 kilometres from the ocean! The first time you stand on the pier, Hamburg Landungsbrûcken, you can hardly believe that you are looking at a river- the Elbe – and not the ocean. The port area is enormous; it just seems never-ending as it extends in front of you. There are ample opportunities to take a river cruise- and if you’re lucky, a huge car transporter or container-ship may pass just as you head off. They make you feel quite small, as you look up the ship-side’s monstrous meters of steel, and being up to 350 meters long, they seem to take an endless time before they pass your “tiny” cruiser. 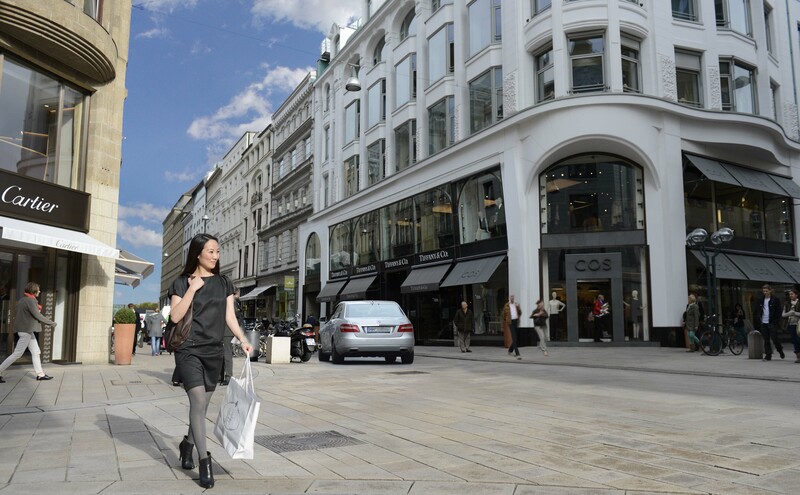 Of course, you can find the same brands in Hamburg, as in many of the major Danish cities. 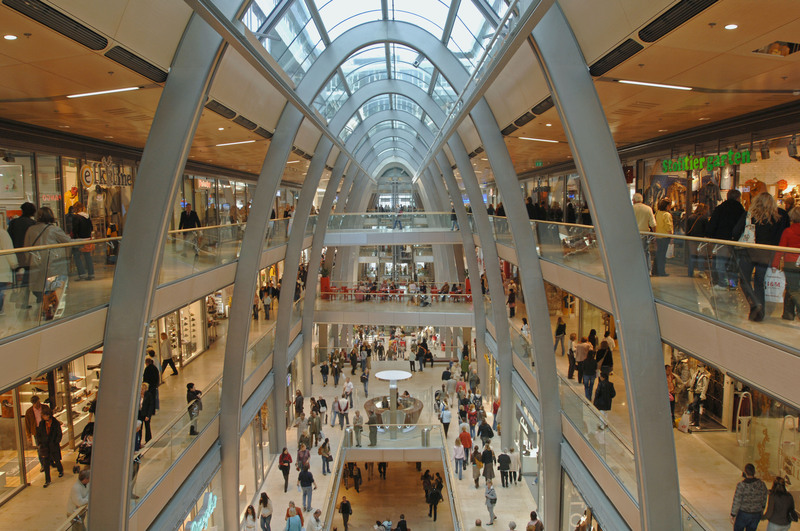 Somehow the selection here seems wider, and with almost four million citizens in the metropolitan area, there are of course just more shoppers. For instance, if you need shoes, the shoe shop Görtz on the main shopping street, Mönckebergstrasse, offers them in all shapes and sizes for both adults and children –spread out over all four storeys of the building. 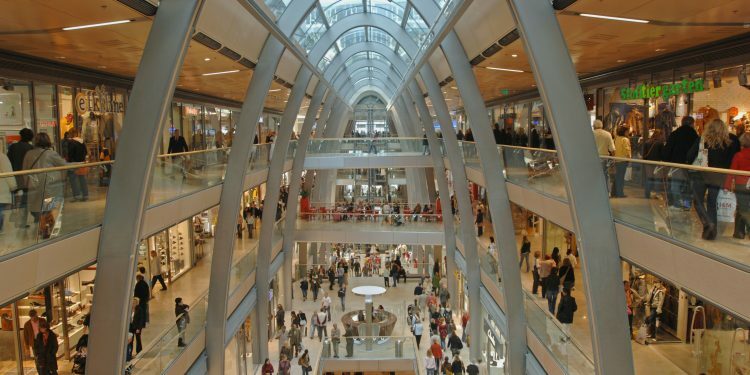 A number of shopping malls are also available – both in modern buildings and in older ones. Don’t miss the Europa Passage or the Alsterhaus. 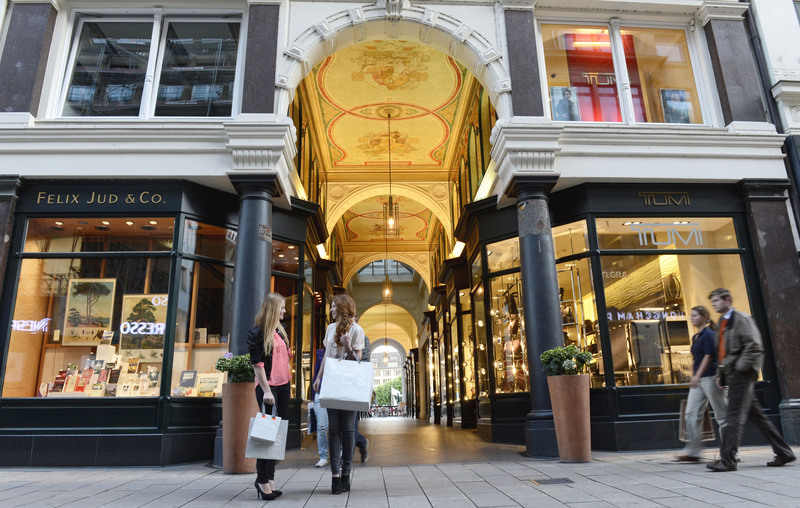 You can go for the quick fish fix in the fast-food chain Nordsee, or try the Food Hall at the top of the Alsterhaus department store. Here are all kinds of great eateries of all sizes and selections. In the restaurant the buffet might be your choice. Even though the eating area itself is a bit canteen like, the selection and variety of dishes in the self-service restaurant is amazing. A chef will for instance prepare, while you wait and watch, your choice of vegetables, meat, and sauce with fried noodles- at just under seven euro. You could also go for the popular chain Vapiano – here you can have pizza, pasta, amazing salads and antipasto – all prepared in no time while you wait. 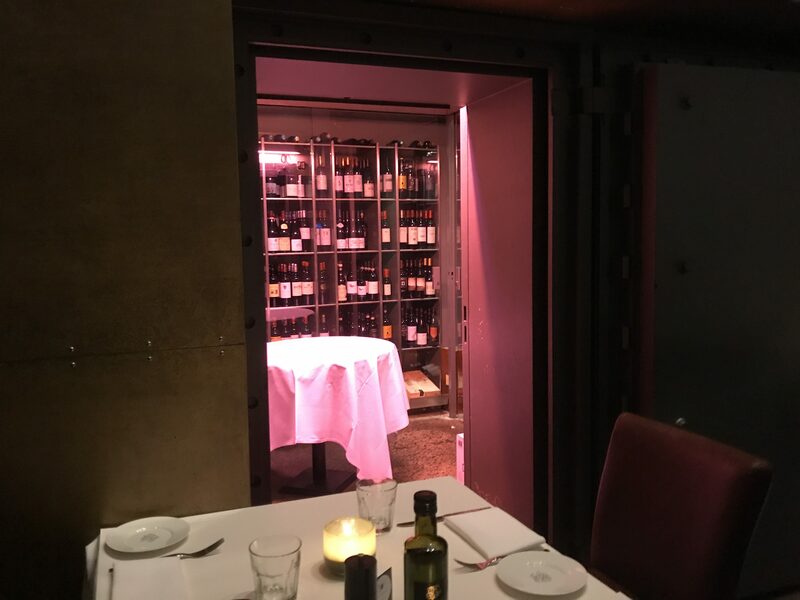 It is fresh and delicious and certainly an OK price. Great for all ages – it is quick but still cosy. For something more German- maybe when you have finished your shopping and sightseeing, try out the Brauhaus Joh. Albrecht. Here you can have a home-brewed beer and Schweinehaxe, grilled pork shank, or go for the German Flammkuchen, a flatbread pizza style starter- ideal for sharing. 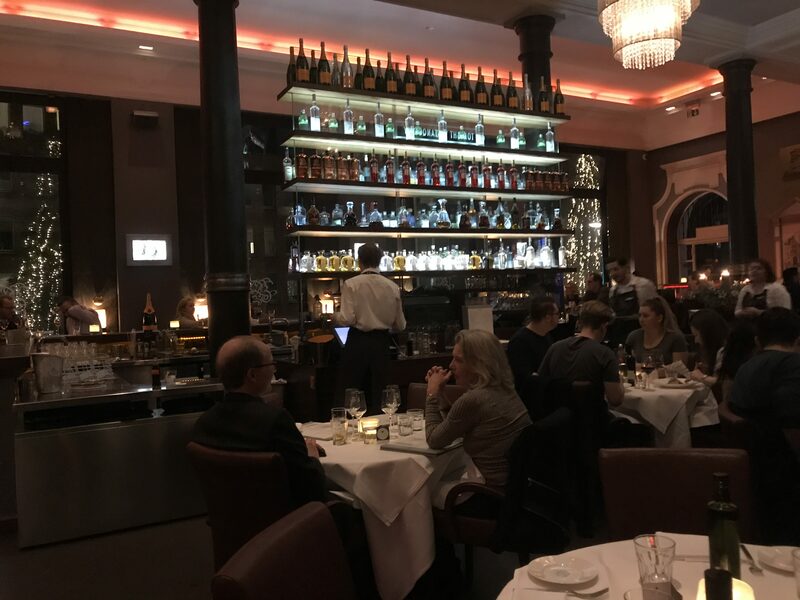 A very popular place also for locals – book your table in advance on weekends. 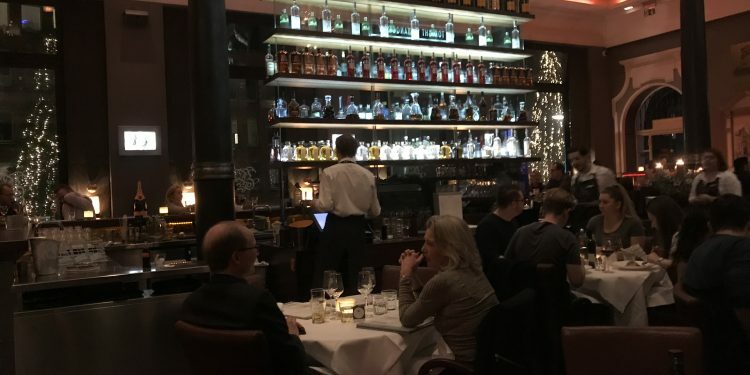 Another delight in the pricier end is the restaurant called Die Bank – and it is literally located in the premises of an old elegant bank in the premium end of Hamburg on Hohe Bleichen 17. 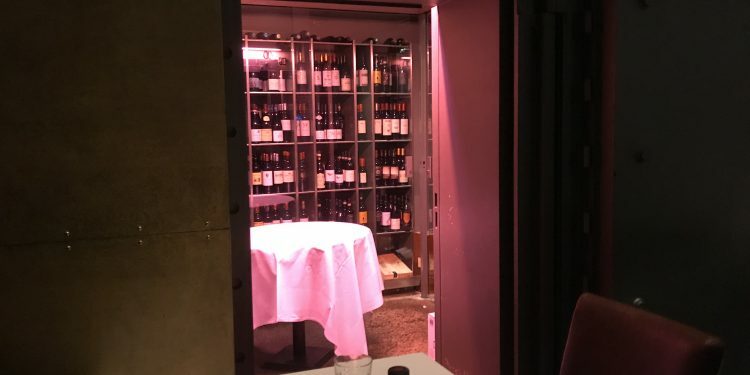 The interior is magnificent with a very high ceiling and complete with the large vaults – these days one is used for coats and the other for wine storage. They have an ample selection of seafood, fish – served with delightfully cooled white wine from around the globe. Have lunch or dinner,or just to see the premises – you can also just go for a drink in the evening- the bar is at least 10 meters long. Mahlzeit – enjoy, as the Germans would say. Picture: Ralf Brunner Mediaserver Hamburg. 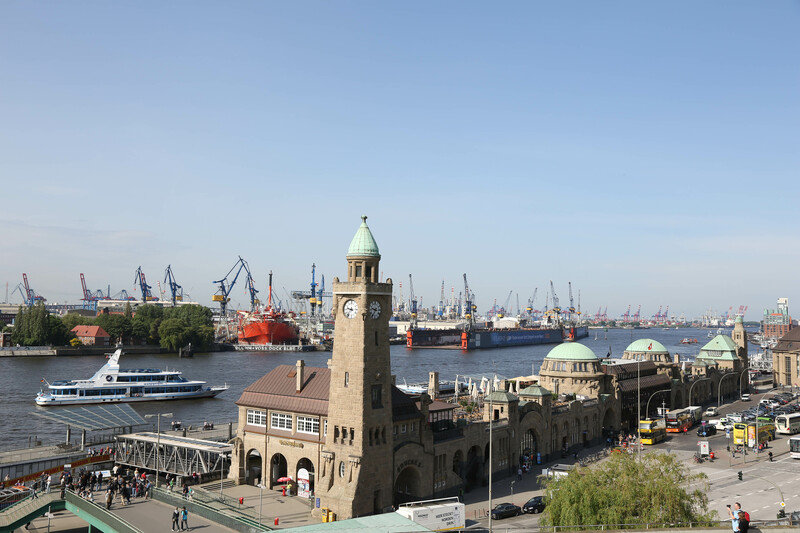 Hamburg's port area along the river Elbe is amazing and it is worth taking a boat tour.